I have a grub problem. Can I still plant seeds even if the grubs are present, or should treat the soil first? 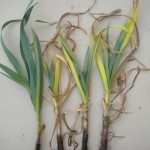 If I do have to treat, can I plant seeds after the treatment whether it's a natural or chemical treatment? 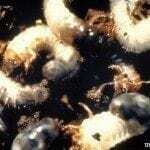 The most common issue people have with grubs is with the lawn. If you are just planting flowers, you should be ok planting seeds before you treat. If you are planning on planting grass seed, I would hold off until after you treat. After you treat for grubs, you can plant any seeds. The method you use to treat for grabs, chemical or otherwise, should not interfere with plant growth.